Now that my international clients are growing, working at home has become harder for me and my sister (we work as a team) to be more productive mainly because of so many reasons. Our WiFi is not stable - no matter how we upgrade. We tend to get preoccupied with our daily chores and feel like resting every now and then! Good thing, due to some life hacks or should I say circumstances, I happened to avail a coworking pass for free for 5 months. Who am I to say no when it is everything I was wishing for? I have been trying to find a coworking space that suits my taste. I couldn't believe that I found the right one in the short time I was searching. BGC is where I hang out a lot. 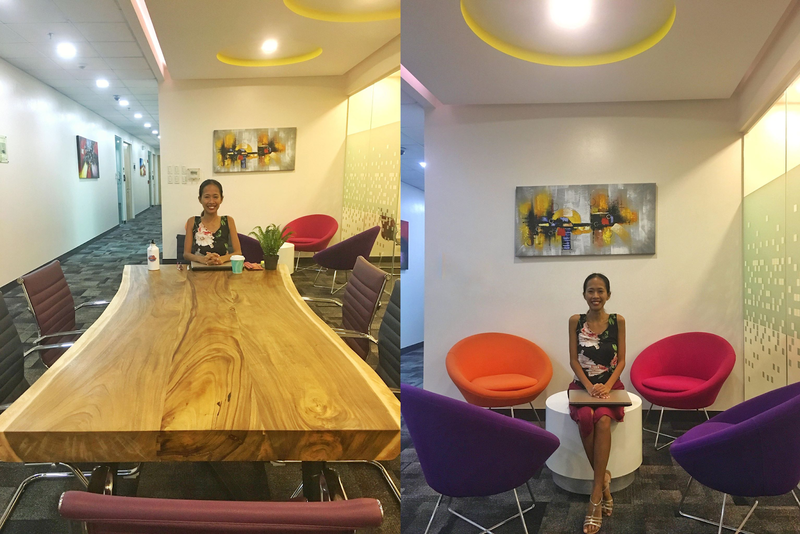 This is the perfect location for me to find a coworking space that's why I was jumping in joy when I found out that KMC Solutions, a chain of coworking spaces where I will avail the free pass has one branch that is very close to where I live. It is like I won in a lotto! 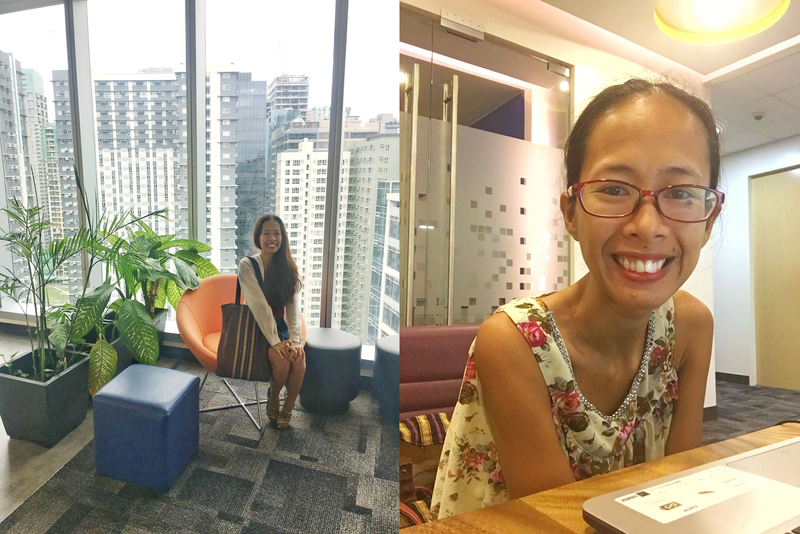 The main photo above shows me where I do my online work while at KMC Solutions Uptown Place Tower 2. Like I have said a while ago, only 10% of the space is devoted to the coworking space renters. It is made of two wooden tables that is surrounded by 6 seats. This means, only 12 coworkers can sit here at one time. At the moment, I am the only one there so I sit wherever I want to from any of the 12 seats! 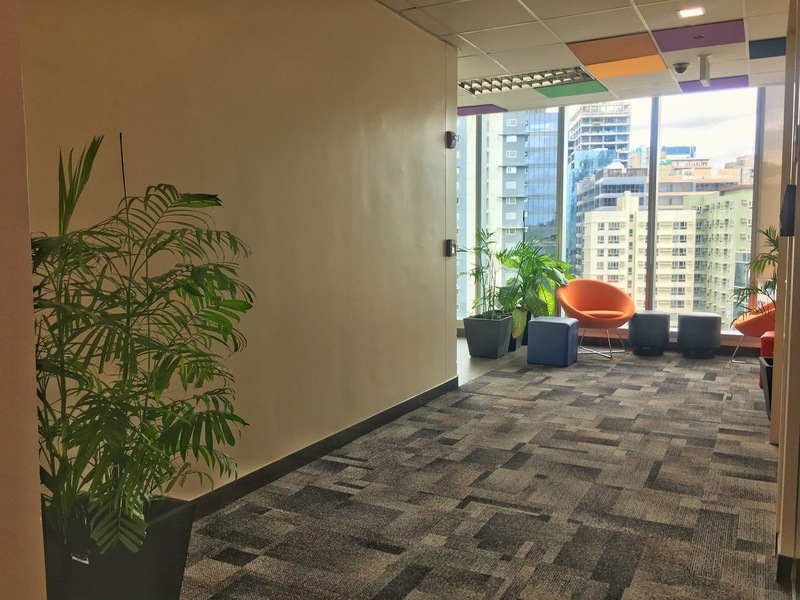 KMC Solutions is one of the biggest brands in the Philippines that advocate the idea of shared offices and coworking spaces at the same time. 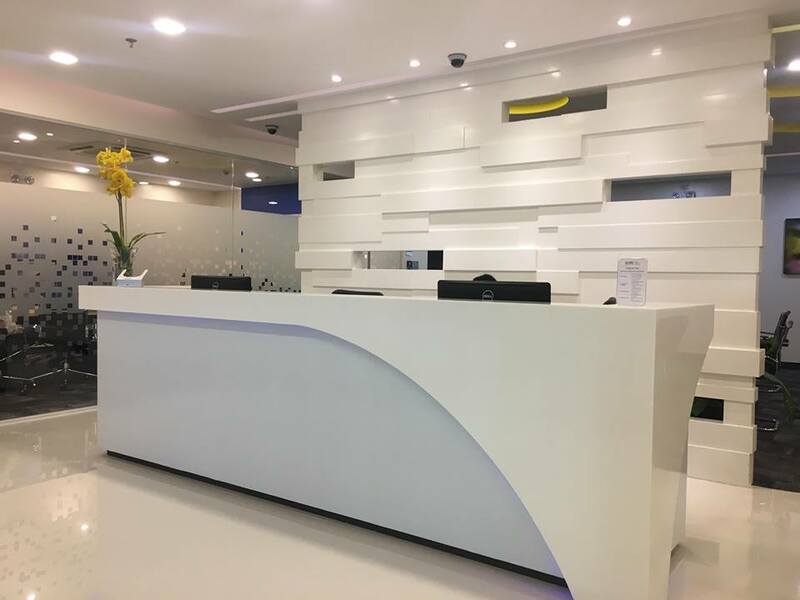 In BGC alone, they have six branches: Cyber Sigma, Picadilly Star, Sun Life Center, ORE Central, SM Aura Office Tower and Uptown Place Tower 2. Around Manila, they have presence in Makati, Ortigas, Mandaluyong, Alabang and Quezon City. Around the Philippines, they have presence in Iloilo and Cebu. I do not brag but I have been to a lot of coworking spaces here in the country, in Thailand (where I volunteered for 23 days) and in Taiwan, Vietnam and Indonesia. I have high standards to be honest when it comes to be choosing what's the coworking space that meets my taste. 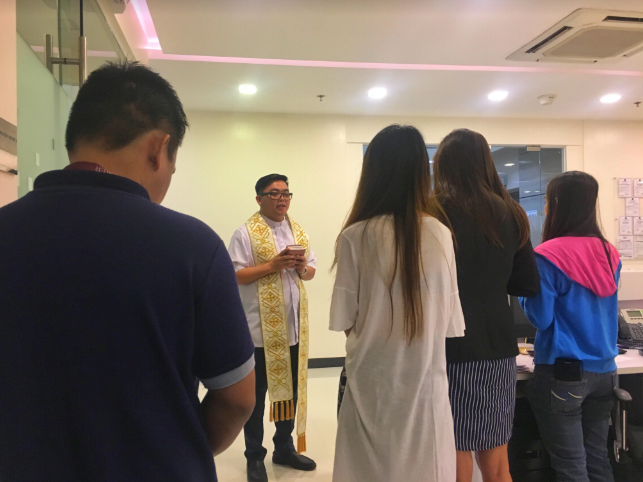 KMC Solutions occupy two floors at Uptown Mall Tower 2: 19th floor and 20th floor. Out of the 19 floors at Uptown Place Tower 2, KMC Solutions occupy two floors - 19th and 20th. The 19th floor is 100% a shared office while the 20th floor is 90% shared office and 10% coworking space. 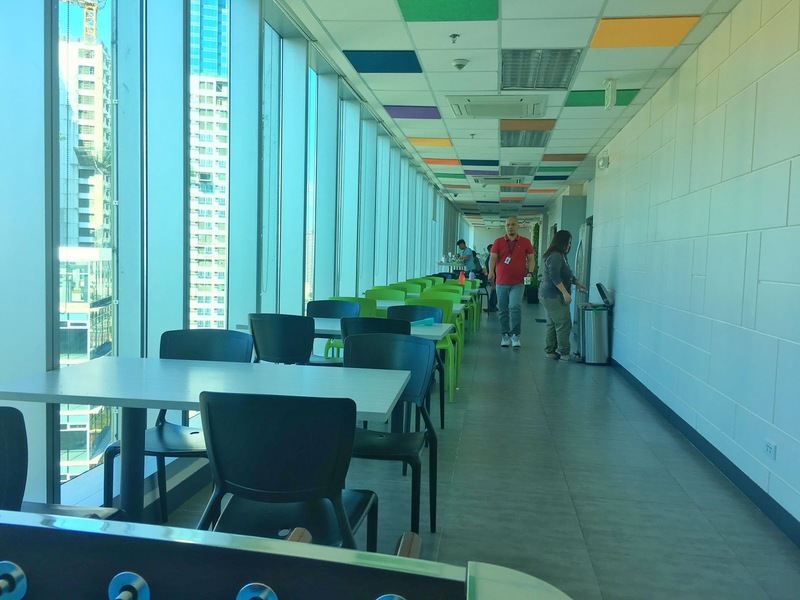 KMC Solutions' two floors are all PEZA accredited and LEED Silver certified. This means the facilities of KMC Solutions are all top notch from the fiber-powered online connection to the smallest thing it is made of. It is literally a 20-minute walk from my apartment. However, since my bag is heavy because of the laptop, laptop charger, make up kits, hygiene kits, a piece of pillow, mobile phone, mobile phone charger et cetera I feel that the weight is as heavy as a mountain so I take a taxi that costs Php 60-80. Going home, I always choose to walk halfway (when I am not in a hurry) until I reach Kalayaan road via PhilPlans Building where I will get a jeepney ride of Php 9 that passes by JP Rizal extension road. Strong and stable WiFiI see a huge difference between working with a slow connection and one that's fast. The tasks I am able to finish are 5x more! Specially now, a fellow Canadian travel blogger wants me to view his Youtube videos where I base my web research for him. I will die in agony of I do this at home but here at KMC Solutions, there's no buffering while watching Youtube videos. Whoever did the interior design and layout of KMC Solutions in Uptown Place Tower 2, I must give 1, 000 points! 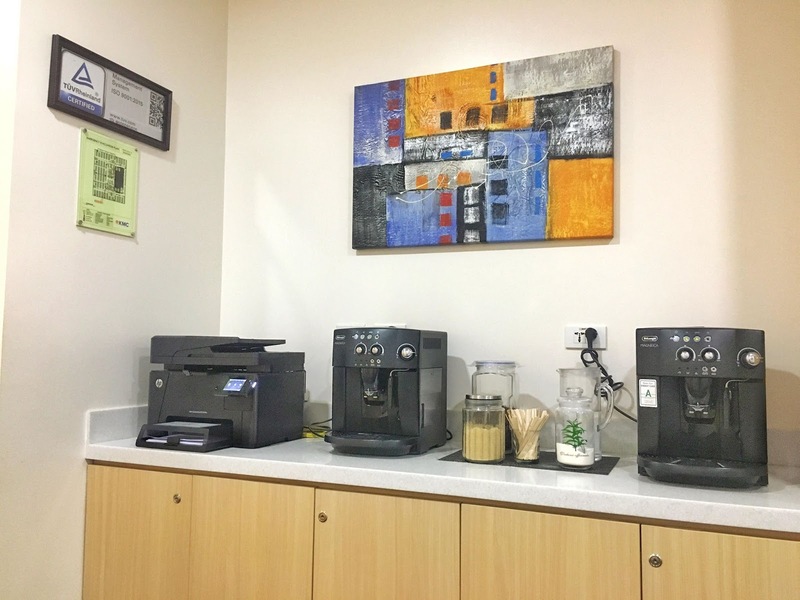 From the modern look of the chairs and tables to the high standard of cleanliness they maintain on a daily basis, I have no doubt that employees who work here are more inspired to get to work. 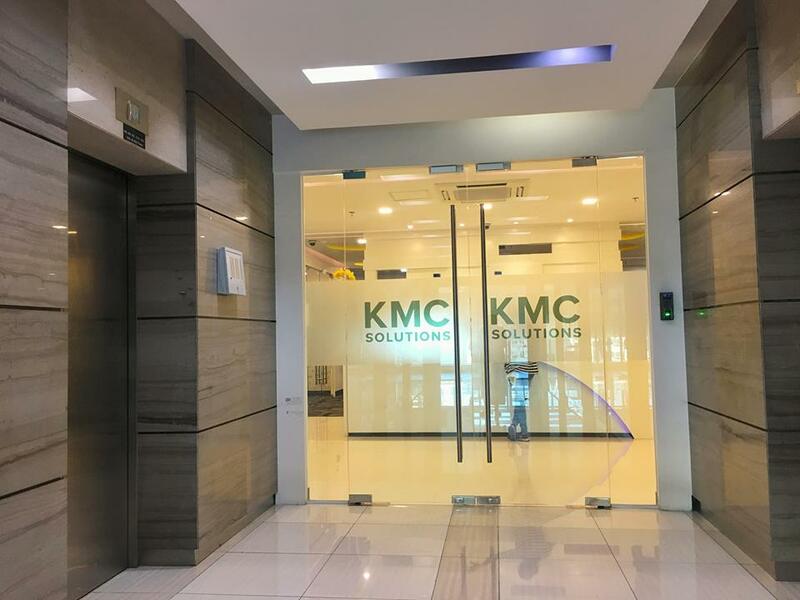 KMC Solutions do not have any concerns about spaces - from the hallways to the conference rooms and even pantry, you'll never feel cramped. 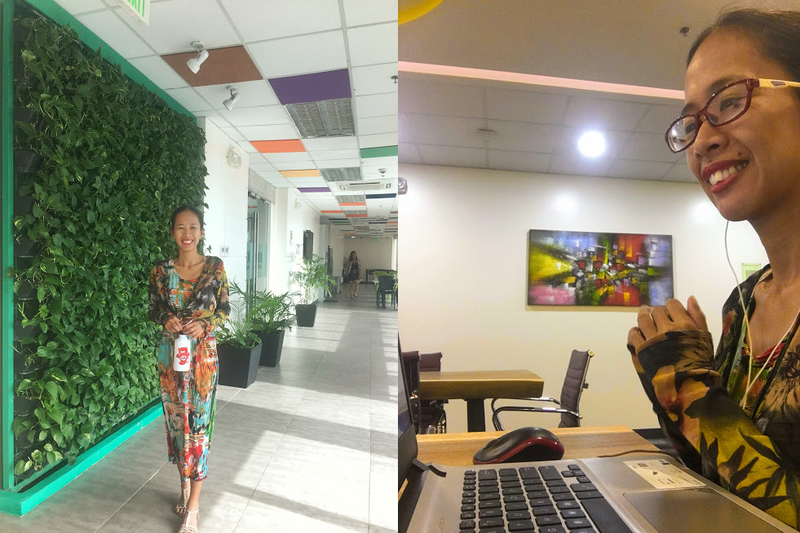 I have been to few coworking spaces here in Manila that are also sleek and modern looking but, none of them incorporate the use of live, green plants. I super love nature, that's why I travel a lot. For a city rat like me who lives on a fifth floor, it is always a relief to see sturdy and leafy plants. I super love it because in every corner, there's one you'll see. They even have a portion of a wall covered with plants in the pantry. One for the boys and one for the girls. Don't get me wrong but taking a nap in between work is something I was so used to back in my 9 years of working at night in the BPO. Even now that I work daytime, a 30-minute to an-hour rest which is either just lying down straight on a bed or complete sleep is enough to recharge to a hundred percent efficiency. I heard that once you are a bonafide slash paid member of KMC Solutions, you can work anywhere - I know of coworking spaces that restrict its coworkers from working in their other branches. However, this one I think depends on availability and have to seek permission first. I know there are branches of KMC Solutions here in BGC that are full like the one in SM Aura since it is in the most prime location. They never ran out of activities for the members and even non-members to join. Last time I checked KMC Solution's official Instagram account, they have very interesting events to join such as open mic jams, film showings, dance & yoga class and even monthly massages. They even have this weekly free breakfast of cereals and breads. The only thing I am a bit concerned is that, none of these can be availed at KMC Solutions Uptown Place Tower 2. I would super love to join any events of KMC Solutions that would nurture the remote worker in me! Well, these are expected at every coworking space. Just would like to point it out because coffee for me is life and of course water since it is a basic necessity in life. 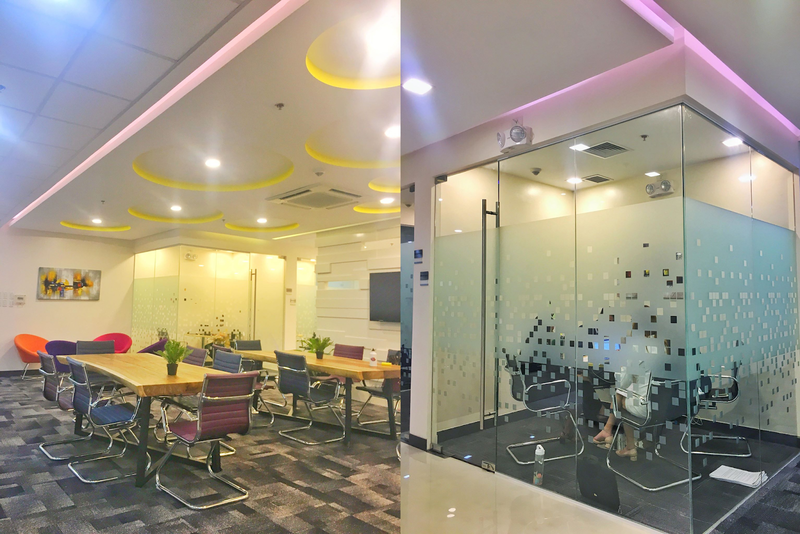 How much is the typical monthly rate in KMC Solutions' coworking space? Inclusions: Entry to all KMC coworking spaces and use of conference & meeting rooms.